When you download the Arduino IDE in Linux, the download comes with the FTDI drivers bundled with the IDE. 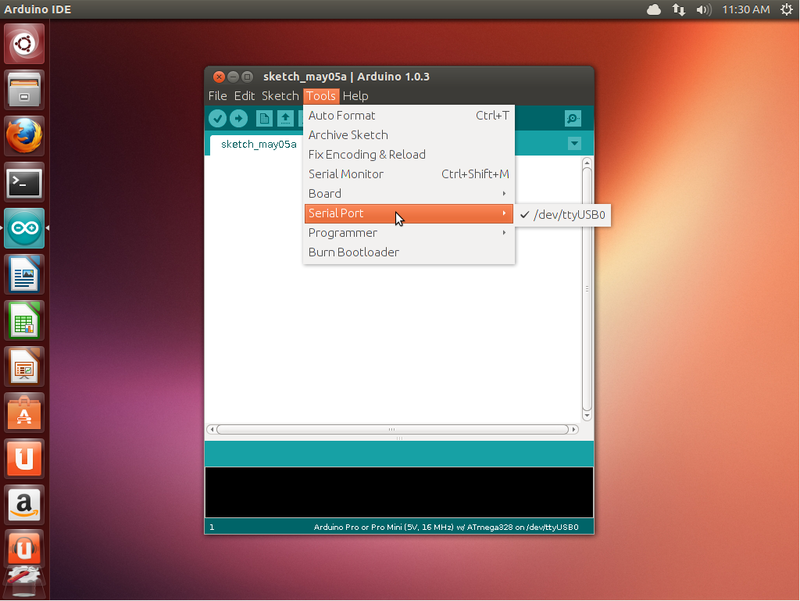 However, if you just open Arduino from the desktop, you'll notice that, if you click on 'Tools', the 'Serial Port' option is grayed out. 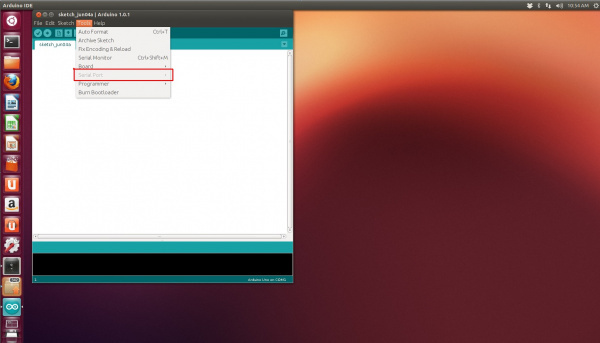 Arduino should open, and this time the 'Serial Port' menu is available. The FTDI device will show up under this menu. It should be named /dev/ttyUSB0. The number may vary depending on how many USB devices you have plugged into your computer. That's all. Note: If you have more than one FTDI device plugged in to your computer at the same time, all of the devices will show up under this menu. To figure out which device is which, look under the 'Serial Port' menu. Take note of the names of each device. Then unplug the device you want to use. Go back to the 'Serial Port' menu. The device you unplugged should no longer be listed. That is the device you want. Plug it back in, and select the device that has now reappeared.